Modern-day messaging has changed the way we communicate and the internet has revolutionized the way we interact with each other. Innovations in internet technology have had profound effects on the way humans communicate in the twenty-first century. Considering the “dark ages” of the 1980s when people could communicate by exchanging letters or via telegraph, radio, or carrier pigeon, the modern-day conveniences of communicating at our disposal are truly revolutionary. Today, information is delivered in seconds, thanks to the evolution of digital communication. In this digital era teeming with technological innovations, it can be difficult to understand the difference between texting and messaging. Well, they both serve the same purpose – that is, instant delivery of information to the recipient – but the two forms of communication are quite different from each other as well. What is Text Messaging (Texting)? Text messaging, also known as texting, is one of the most important forms of communication that involves creation and transmission of short electronic messages between two or more mobile devices. In simple terms, texting is an act of sending and receiving short text messages between mobile phones. Text messages use cellular network to transmit information in a similar fashion to making a phone call to the other party. The first party who creates or composes the message is a “sender” and the one at the receiving end is a “receiver” or “recipient”. The message typically consists of alphabets and numbers. Every mobile device, whether smart or not, has the ability to send and receive text messages, which is a great substitute for voice calls in case a voice-based communication is not possible. Smartphones and traditional mobile phones are the most common devices to send and receive text messages. However, personal computers or laptops can also be used to send and receive texts – all you need to do is install an SMS app on the computer. The app uses your cellular network to access your contacts and send messages to them. What is Instant Messaging (IM)? 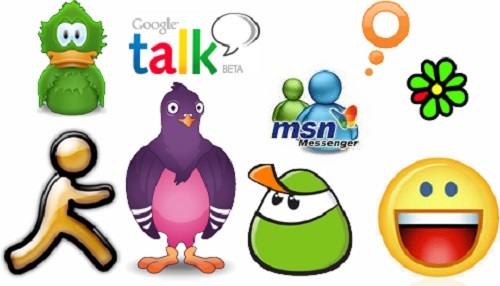 Instant messaging (IM) is yet another efficient method of communication which requires a stable internet connection. It’s basically a type of online chat where you can keep a list of people you interact with and send real-time text transmissions over the internet. In simple terms, it is the exchange of text messages through a software application in real-time. Instant messaging service is more interactive than other forms of communication because information is sent in real-time and it may also provide video-calling, file-sharing, or voice-calling using a microphone and headphone. Instant messaging requires you and your contacts to use the same messaging application to communicate. You can add the people you want to interact with to your buddy list or contact list and send them messages when they are online. There are so many popular messaging apps on the market today. The most popular ones include WhatsApp, Facebook Messenger, Telegram, Snapchat, and Skype, and there are more. You must be online to send and receive messages and any attempt to send an IM to a buddy who is not online will result in incomplete transmission. If both the parties are online, the recipient will get a notification alert indicating that an IM has arrived. You can then initiate a chat session with that particular buddy or friend via the messaging service. Both the systems are similar and feature-rich which make texting and messaging resemble each other in many aspects. However, the main difference between them is that texting requires cellular network to send and receive information, whereas instant messaging requires both the parties to stay online via internet. Anyone with a mobile phone can exchange text messages with anyone else with a mobile phone, irrespective of the platform. On the other hand, instant messaging is platform-dependent which means both the parties need the same messaging service or application to communicate with each other. For example, a Facebook user cannot send messages to a Snapchat user and vice-versa. In instant messaging, both the users must be online and connected with each other via a common messaging service in order to exchange messages. Texting, on the other hand, has a much wider reach as it relies on the cellular network which makes it perhaps one of the most efficient methods of digital communication. No app is required to use text messaging service which makes it more convenient and hassle-free than instant messaging, which on the other hand, requires a medium – an app – to connect a sender with the receiver. Both the parties are required to install the same messaging app on their devices in order to exchange messages. Because texting is independent of the platform and requires just the phone number, anybody with access to your phone can send and receive text messages, so no log-in is required. Instant messaging, on the other hand, requires your credentials (username and password) to log-in making it more secure and private. However, both services are equally vulnerable to phishing scams and other malicious attacks. No app required to send and receive text messages. A common messaging app must be installed onto the user’s phone or laptop. Texting is independent of the platform so anyone with a mobile phone can send texts to anyone else with a mobile phone. Apps cannot communicate with each other so a Facebook user cannot send a message to a WhatsApp user. Any mobile phone, whether smartphone or not, has the ability to send and receive text messages. Instant messaging requires both the sender and the receiver to use a smartphone. No sign-in is required to send and receive messages. It requires a username and a password to sign-in. 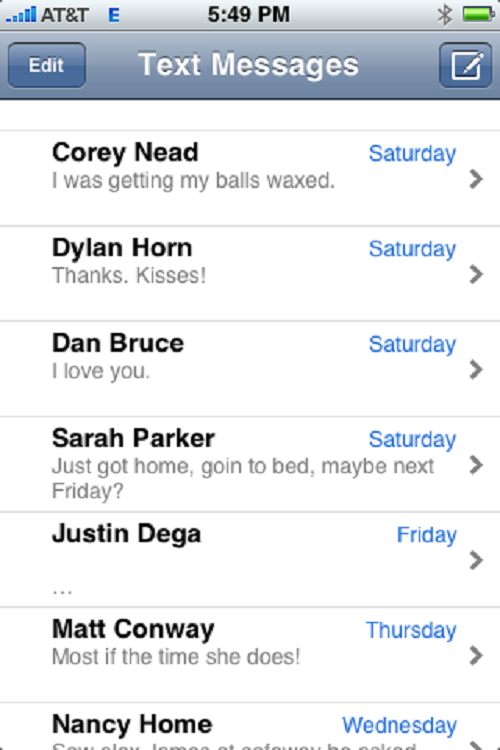 Text messaging is limited to 160 or so characters. Instant messaging has no limits on characters. Texting is less secure than instant messaging. Instant messaging requires a username and password, providing better security than texting. Conceptually, both texting and instant messaging serve the same purpose – that is, the instant transmission of information in the form of a message to a recipient – but they have their fair share of differences. Texting uses cellular network to send and receive text messages, similar to making phone calls, so you pay your mobile provider for the service. Instant messaging, on the other hand, uses your phone data or Wi-Fi for the services, so you pay only for the data use unless you have an unlimited data plan. You do not have to install anything on your mobile to use text messaging services, whereas messaging apps must be downloaded onto the phones of both the sender and the recipient. A Telegram user cannot interact with a Facebook user and vice-versa. Sagar Khillar. "Difference Between Texting and Messaging." DifferenceBetween.net. November 8, 2018 < http://www.differencebetween.net/technology/internet/difference-between-texting-and-messaging/ >.